Come and join us on a sun holiday to the stunning Greek Dodecanese Island of Kos. We stay at the 4★ Aegean Village Hotel; a firm Solo’s favourite. Located on the hillside, the hotel offers stunning views of the sea. With the beautiful village of Kardamena just minutes away, we can be sure to have the perfect summer break. As is so often the origin of vibrant resorts, Kardamena began life as a sleepy fishing village with only a handful of tavernas. If only the original fishermen could see it now! A multitude of shops, bars and restaurants have paved the way for a thriving and buzzing tourist resort. What has not changed, however, is the friendly welcome and genuine hospitality. Our hotel is located within steps of an inviting sandy beach with crystal clear waters, for soaking up the rays. Alternatively, chill out beside the Olympic-sized hotel pool, using little more energy than is required for devouring a delicious Greek salad. After a lazy day, it's easy to crank up the pace in the evening if that's your scene. Try a deliciously fruity concoction at the hotel's cosmopolitan cocktail bar, before enjoying the nightly hotel entertainment. The lively resort of Kardamena is only 2km away, where we'll find dozens more bars, pubs, cafés and nightclubs to choose from, playing music from the 1960's to the latest hits. Predominantly flat and only 64km long, Kos is easily navigable for budding explorers. Jump on a bicycle and pedal around the coast, or take the leisurely option on an island tour or sailing trip. Out and about there's plenty to do. 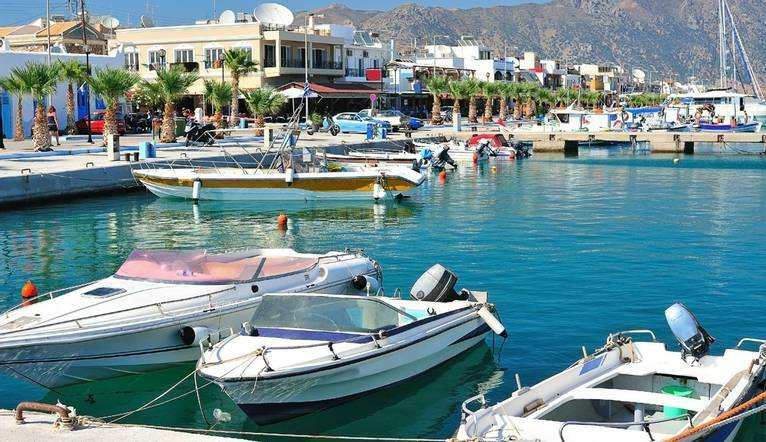 A must-see is the island's capital, 'Kos Town' on the western coast. I really enjoyed this holiday as I was able to do my own thing during the day but had company for meals, evenings and excursions. The Tour Leader was really funny, helpful and always available so that made a big difference. Best holiday by far as the Tour Leader was amazing and a great laugh along the way. This popular hotel, on a hillside overlooking the sea, has bungalow-style rooms spread out across the grounds. The hotel offers a vast selection of services and facilities including a buffet restaurant, lounge bar and TV lounge, free Wi-Fi access, mini-market, boutique, hairdresser, massage (at additional cost) a large outdoor swimming pool with sun terrace, an indoor pool, sauna, pool bar and snack bar. Activities include floodlit tennis, mini golf, a gym, billiards, water polo and beach volleyball. Watersports are available on the beach (at an extra charge). All rooms have been refurbished and include satellite TV, a hairdryer, small fridge, telephone, air-conditioning, internet access, safe, free Wi-Fi and balcony or terrace. Please note that as the hotel sits on a hillside, we would not recommend this holiday for people with walking difficulties. Transfer time from Kos airport to hotel is approximately 10 to 15 minutes. You may wish to take an optional excursion during the course of your stay. Listed below are just a few of the tours which may be on offer to you depending on the season. Full details will be given at the Information Meeting. The prices quoted, are a guideline only, as these can vary, depending on numbers etc. All tours should be paid for in euros, sterling or credit cards however a 3% surcharge is made if credit cards are used. The exact amount will be given at your Information Meeting. Your Tour Leader will help arrange these for you but may not necessarily accompany you. Casual, cotton, lightweight daytime wear is the order of the day. Comfortable shoes are a must for sightseeing. Smart casual clothes will be ideal for the evening, with the emphasis throughout being informal but with NO VESTS OR SHORTS (LONG TROUSERS ONLY) in the restaurants in the evenings. Early and late season evenings can be cool so do ensure that you take a cardigan or jacket and even some rainwear – particularly in May and June when you may experience some spring thunderstorms followed by scorching days! A beach towel can be hired from the hotel at a cost of €3 per week and can be changed daily (a further returnable €15 deposit will be required at the start of the week).